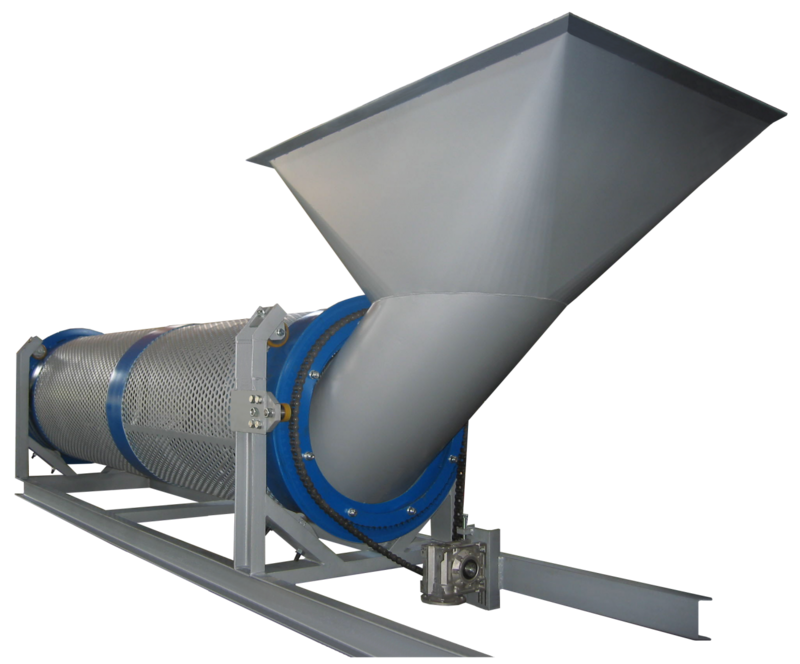 The drum separator is used to transport and separate fine wood sawdust and coarse fraction. The drum separator is made of welded construction of steel profiles and sheets. The device has three main parts, a base frame, a rotating drum and a drive mechanism including an electric motor.